1969 Chevy C/10 Custom Unibody Street Truck Is One Killer Custom Build! SEMA is known for having the COOLEST custom vehicles from all over the world and in this video we check out one of the vehicles from the event in 2015. Scottie D is there to go over all of the details and walk around the car to give us a real feel for the custom features and mods made to the classic 1969 Chevy C/10 Custom Unibody Street Truck. To check out this badass build click the video below! 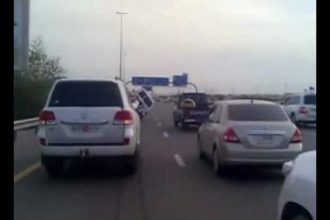 WTF OF THE DAY: What Really Happens On Dubai Motorways?